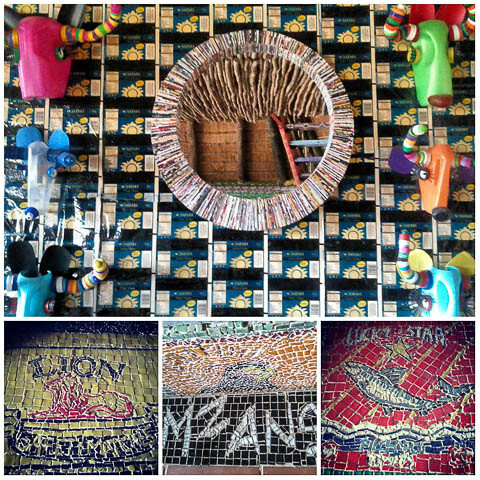 I saw these colourful mosaics at Amphitheatre Backpackers in South Africa’s Drakensberg region. South African brands such as Lucky Star and Lion decorated either side of the fire place in the kitchen with ‘Mzansi'( South Africa) on the floor. The mirror was crafted from paper and the animals masks from plastic containers.